Wow. It’s been almost eight (8!) weeks without a Beowulf translation post. First off, sorry for leaving this site silent for so long. My only excuse is that between work, the podcast I’m a part of (as co-host and editor/producer (http://podcast.fanthropological.com/ is where you can find that, by the way)), the holiday season, and my life in general I just haven’t had the time to sit down, type up my translations, and then come up with a commentary for them. So what’s happening with A Blogger’s Beowulf? Well, for the rest of January, nothing. My grand plan is to make time to type out the remaining 200 or so lines of my translation. Once that’s done I can get the rest of the standard translation entries ready to go for February. So, from February 1, 2018 and every Thursday following that you can come back here to continue through my translation of Beowulf. But that doesn’t mean that I’ll be done with this site when those run out. I’ve already put a lot of time and energy into my translation and these posts so I want this site to get a little more attention in 2018. To accomplish this, I’m going to bring the Beowulf news entries back in a meaningful way. I’m currently thinking interviews with big time Beowulf fans and creators who have been―and still are―inspired by the ancient epic. In terms of the poem itself, I plan to use this site to slowly release drafts of a final version of my translation. It’s my grand scheme to put these pieces together and release that full version (maybe with or without my commentary) in at least digital form by the end of 2018. So, what can you expect out of A Blogger’s Beowulf in 2018? Right now, a weekly posting schedule is ideal for me. So only expect the translations for the first few months of the new year. But once those have finished I’ll be trying to alternate between polished chapters of the poem and the more “news”-style posts (think interviews, and reviews of Beowulf-inspired media). So for the start of 2018 I’ll be fettered by frost locks (much like the world outside here in Kitchener). But the heat of a new year will thaw those chains and see this site reach for new heights. If you’ve got some thoughts on these plans, or if there are people you’d like to see me interview/write about for this site, please let me know in the comments or at nsczach@gmail.com! Why the Plain Speaking Compounds? 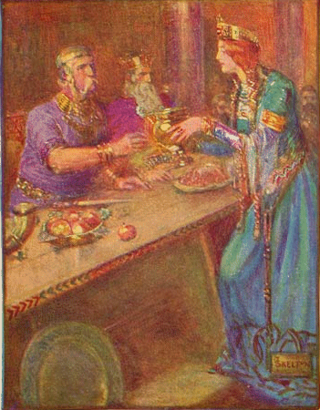 The poet describes how Hrothgar gives Beowulf all of the stuff that was described in the last two passages. horses and weapons; commanded/entreated him to use them well. Since the last two passages pretty much covered Beowulf getting the gifts, there’s more to this passage than simply restating that Hrothgar gave him the horses and four weapons. This little cap off for this part of the poem could just be a formality, or part of the poetic practice of making things just a bit longer than they need to be. But there’s a reason for the poet to say that Hrothgar, then and there, “conferred both those gifts unto Beowulf” (“Ond ða Beowulfe bega gehwæþres/…onweald geteah” (ll.1043-1044)). The crux of this passage comes at its end, and I think it’s directly related to the poet’s foreshadowing Heorot’s doom on line 1018-1019 (discussed in this post). Just as that passage ended with the poet saying that treachery would not yet tear Heorot apart, the poet’s statement here that Beowulf and Hrothgar acted in such a way that “no man might ever find fault with/the two” (“swa hy næfre man lyhð,” (l.1048)) is meant to make it clear that the Geats played no part in the treachery that does Heorot in. Just as I discussed two posts ago, whether Hrothgar is first referred to as Halfdane’s sword or his son makes no difference when it comes to the substance of the gifts themselves – whether it’s familial or political, the gifts are given to solidify an alliance. And here, since the “words exchanged were rightly aligned with truth” (“se þe secgan wile soð æfter rihte” (l.1049)), that alliance is definitely a clear and forthright one. It’s not the sort of agreement where one part misinterprets the other’s intention or aim (which was a fairly common cause of tricksters justifying their treacherous deeds in some of the Norse sagas and no doubt in similar Germanic stories). So this passage firmly establishes that the Geats and the Danes are perfect friends. There is no bad blood between them whatever. Well, without knowing a lot of the history of the actual interactions between the Geats and the Danes (so long as the Geats actually were a people at the same time Hrothgar’s Danes were around), it’s hard to say. This whole passage could be sarcastic and the Geats, in actual fact, could be a central player in the downfall of Heorot. But I don’t think that’s why this passage is here. I think it’s a sincere expression of an actual state of the alliance between Geats and Danes. Maybe it’s overstating the strength of the bond between real life Geats and Danes, but I think it’s here mostly to underscore Beowulf’s success. He’s defeated Grendel handily (*ahem*), brought peace back to Heorot, and didn’t let too much damage mar Heorot while it was legally his. Hence Hrothgar’s legally handing these things over to Beowulf (as the word “conferred” (“onweald geteah” (l.1044)) implies). Everything is fair, square, and above board because that’s the kind of clean acting hero Beowulf is. He’s uncomplicated as far as his deeds go because that’s just who he is. And perhaps it’s just how young he is. As we’ll see later in the poem, the older Beowulf we find in the poem’s latter half is a more complicated hero. But for now, he and his dealings are straightforward and simple. Singing out the legal transference of goods is part of expressing that, I think. And, maybe this singing is a clue to the poem’s age since the early Scandinavian “skalds” were responsible for poetry as well as preserving and chanting the laws (mostly from memory). This repetition for legality’s sake could refer to that Scandinavian legal singing and so suggest that the Beowulf scribes were familiar with the practice. Though maybe only through books about it. Everything medieval’s muddy, isn’t it? What’s your theory on why the poet repeats Hrothgar’s giving Beowulf the arms and horses? After having been indulged these last few weeks I feel a little cheated by what the poet’s left me in this passage. There’s a serious shortage of compound words. But, as always, I think there’s a purpose behind that lack. The two compound words that are given are “hord-weard” and “heaþo-raesas.” Both of these compounds are very straightforward. If you’ve been following this blog for a while you might even be able to translate their parts on sight. The first of these, “hord-weard,” means “guardian of treasure,” “king,” “heir,” or “firstborn.” To get to this meaning, it combines “hord” (“hoard” or “treasure”) and “weard” (“watching,” “ward,” “protection,” “guardianship,” “advance post,” “waiting for,” “lurking,” “ambuscade,” “keeper,” “watchman,” “guard,” “guardian,” “protector,” “lord,” “king,” or “possessor”). So all together, the word means, “guardian of treasure” pretty plainly. Though, there’s some interesting stuff in the meanings of “weard” that lean more toward stealth or even sneak attacks rather than outright guarding of something, But the two are still related within those senses, I think. If you’re setting traps, you’re guarding your life after all. The same goes for “waiting for” or “lurking”; you’re present in a place and in an active state of watching for something or someone. So the sense of “guardian of treasure” is pretty consistent throughout. The next word in this pair is “heaþo-raesas.” This one means “onrush,” “attack,” or “storm of battle,” and comes to use from the union of “heaþo” (“war”) and “raes” (“rush,” “leap”, “jump,” “running,” “onrush,” “storm,” or “attack”). And, just like with “hord-weard” that meaning, “storm of battle,” is consistent throughout combinations. The word basically means a fierce, sudden attack. At the top of this section, though, I mentioned that I think having only these two compound words in this passage is intentional. In past entries it’s been clear that the complicated compound words come out when the poet (or the poet’s subjects) become excited. When big speeches with rhetorical flourishes are made, or wise asides, or descriptions of action and battle – those are the times when the compounds come out in full force. And the complexity of those compound words matches the level of excitement to some extent. These speakers (or the poet themselves) don’t have time to come up with common compound words – they need to make up their own! And there’s no saying that the calm, clear giving of gifts for a job well done is anything but heart pounding in the same way as a battle or a rousing speech. So there being no complex compounds fits the tone of this part of the poem. But, I also think the poet keeps the compounds toned down here because of the legality of this little recap. Yeah, this kind of turns on the legal implications of “confer” (which I’ve translated from “onweald geteah” (l.1044)), but I think that’s enough. Simply giving us a summary of the goods exchanged practically stands in as a kind of receipt after all. And what’s a receipt except a record of a transaction that can later be used for bureaucratic stuff like taxes. And what’s the language of bureaucracy? Law. So I think we can consider any kind of legal passage or bit of the poem that’s a formality as a stretch where the compound words that are used will be pretty straightforward to keep confusion to a minimum. Like a receipt, this section of the poem is probably meant to be as bare bones as an alliterative poem can be. But so what? Well, the idea that clarity of language is important to this sort of legal passage suggests that the Anglo-Saxons liked their laws simple, or at least the poet wanted to promote the clean dealing of a trade of gifts for services rendered. Perhaps it’s a bit of anti-feuding, anti-treachery propaganda – give gifts plainly instead of with malicious machinations! Plus, that simple compounds appear at all in such a straightforward passage suggests that compounds are so important to Old English that they’re simply everywhere – even in legalese. It’s not exactly related, but what’s your favourite weird law? I’m not sure if it’s on the books any more, but in 19th century Canada it was illegal to wear a mask in the woods – a pretty good weird law. After all of this gift giving, there’s more still to come in the next passage. Hrothgar’s rewarded Beowulf, but that doesn’t mean he’s forgotten the other Geats. The horseback poet wraps up his singing of Sigemund, Heremod, and Beowulf. became a decorated friend; yet sin still slinked in. Maybe it’s because covering at least eight lines of Beowulf every week breaks some things up, but I’m not sure of what to make of this passage. It’s the end of the section of the poem that’s the horseback poet’s song about Sigemund, Heremod, and Beowulf. So, the question is, I suppose, what can we say about this ending? Looking at the very last line of the passage, we see that it ends with a note of warning: “yet sin still slinked in” (“hine fyren onwōd” (l.915)). This half line suggests that though Beowulf is celebrated in this instance something still comes up to throw off the joy of Danes and Geats. Having read the poem a few times before, this half line could refer to a few things. First among them is the idea that Grendel’s mother, when she comes seeking revenge for her son, is the sin that still slinks in. Or it could be a reference to some sort of slip up on Beowulf’s part that lands him in the poor state he’s in when he faces the dragon at the poem’s end. More broadly, this half line warning could just be a comment that there is no perfect joy, and that there will always be some little niggling thing or other that brings down the most secure seeming happiness. Of course, “yet sin still slinked in” is my own interpretation of this apparently crucial half line. Seamus Heaney translates it simply as “But evil entered into Heremod” (l.915). Why Heaney pulled Heremod out for this line is unclear. It could be that he’s just following the poet’s example of making reference to not the most recent antecedent but to one related to the content of its clause instead. This sort of context-sensitive referring seems to be a big part of how the poets of Old English wove the language together since there have already been a few points in the poem where pronouns or implied subjects and antecedents are a few lines apart. And I can understand why Heaney would want to make this line about Heremod. The poem really does not give much context for the last half line of this passage, and leaving it vague as I did is ambiguous. Though ambiguity does have its place in Beowulf and the bits of gnomic wisdom that crop up in the poem from time to time. The best example of these bits of wisdom being “fate goes ever as she shall!” (“Gæð a wyrd swa hio scel!” (l.455)). So a line like “yet sin still slinked in” shouldn’t necessarily be made specific just because it’s vague where scant lines earlier the poet was singing specifics. Since this is the end of the horseback poet’s song, I think a general statement, especially one that’s a warning makes sense. Using such a statement is a great way to end off a story about someone still living, because that person’s story is still being written. Though if that’s what the poet’s going for, there are some heavy implications that to live is to sin, suggesting that already the Anglo-Saxons had adopted ideas of Catholic guilt. Or at least this poet and his audience had. But I also think the general ending of this story makes sense because leading up to it is a bramble of clauses and words that gives the sense of the poet not so much reciting form something he knows as bringing out something based on inspiration. So capping off his ramble, from the fanned fire in his head, is a bit of prescience. Though it’s a prediction based on experience. Heremod was once grand, and yet he fell. Likewise, even though it’s not mentioned here, Sigmund ultimately falls in battle at the hands of attackers after Odin shatters his sword (inescapable divine disfavour, if ever I’ve seen it). Likewise, Beowulf, the real life mythical hero, falls in the end. Not only is this fall foreshadowed in the idea of sin still slinking in, but capping his story off with this bit of wisdom suggests that the poet is grounding his tale in reality both because of Beowulf’s being included and in its bittersweetness. Why do you think poets in Old English bothered to make their language more complicated when describing things like battle or complex emotion? This passage is sparser than any before it when it comes to compound words of interest. Even words of interest are in short supply here. But I make no promises about this section being short. I can be a bit like Rumpelstiltskin at times, spinning nearly nothing into quite a bit (though I won’t go so far as to say that I spin that nearly nothing into gold). Anyway. The single stand out word in this passage is “faeder-aeþelum.” This word means “patrimony,” or “paternal kinship.” This meaning shouldn’t be too surprising since this compound is made up of the words “faeder” (“father,” “male ancestor,” “the Father,” or “God”) and “aeþeling” (“man of royal blood,” “nobleman,” “chief,” “prince,” “king,” “Christ,” “God;” “man,” “hero,” or “saint”). So the compound meaning is pretty much right there in the words involved. But what makes this word stand out? Well, looking at the word itself, it’s interesting how self contained it is. We’ve seen our share of obvious compounds here at A Blogger’s Beowulf, but this one is neatly wrapped up in itself. This ouroboros like effect comes from both of the words being very similar in meaning. Sure, “faeder” is pretty limited to a sense of masculine power, but so too is “aeþeling.” Really, the biggest difference is that, to me at least, the latter carries a sense of youthfulness. Fathers, especially authoritative fathers, aren’t usually that young. So it’s like this word combines one part the power of youth and two parts the power of masculinity to come out with a word for male inheritance either of property and responsibility or of name and reputation or both. So, the effect of compounding “faeder” and “aeþeling” is more like an intensifying one than any sort of subtle modification. There’s also the sense that this inheritance is something passed on only through the male parent or guardian. That it’s something that only the male parent can give to a child. That’s also something that strikes me as interesting. though not nearly as much as the sense of “faeder” as “god,” which at least hints at some notion of there being some sort of divine element to patrimony. And, maybe also to kingship itself, since that’s what’s at stake here. Though just in general, I can see it being a more divinely regarded thing, since Biblical stories about inheritance tend to be through the male line. Like the story of Jacob stealing Esau’s place as the inheritor of Isaac’s honour and divine favour, or of the parable of the prodigal son. On the level of the word itself, there’s not much to say. It’s the first word in line 911, so there’s that, I guess. But otherwise, it looks like its primary function on the line is to alliterate with “onfōn” and “folc.” And, I’m not entirely sure of its significance, but there is the matter of the alliteration falling on the first, seventh, and eighth syllables of the line. Or its being in the first and last syllables of the first half line and the first syllable of the second half line. Whichever you prefer. Point is, there’s some extra meaning packed into this word, and I think I’ve taken some of that out for inspection. How much meaning do you think poets pack into single words? If we can look at a single word like I just did and pull out so much meaning, is it because the poet meant it that way, or is it just what the culture or context of the interpreter gets out of it? In the next passage of Beowulf, the Danes continue their joy riding and Hrothgar steps out with a speech. Grendel has his first mention by name, and his origin is quickly explained. committing crimes, like a fiend of hell. him for that murder, when he slew Abel. far abroad, done for his evil, away from humankind. To anyone familiar with Greek myth, there’s a strange mash up of origin stories happening here. The final two lines suggest some sort of war between god and monsters, specifically giants. In Greek myth, such a story would be a reference to the Gigantomachy wherein the Giants (the force of chaos) fought against the gods of Olympus (the force of order). Taken as a reference to early parts of the Old Testament, these lines could be describing an Anglo-Saxon take on the Nephilim, the half human/half angel offspring of angels who walked the earth and cavorted amongst humanity. In the Old Testament stories, interestingly, given the Anglo-Saxons’ warrior status, these angels are allegedly the ones who showed humans how to work metal and create weapons for war. This tale of a war between god and monsters could also be a reference to the story of the Roman de Brut, an epic poem about the first settling of what’s now England, and the giant that the settlers had to overcome to claim the land for their own. But the version of that poem written by Wace is dated to 1150-1155 with much more certainly than Beowulf’s own dating. As a result of this late date, Beowulf would have had to have been written/composed later in the twelfth century. Alternatively, it could well have influenced Wace (along with his major source for his Roman de Brut, Geoffrey of Monmouth’s Historia Regium Britanniae). Nevertheless, the story about a war between god and giants could be construed in a number of historical ways, too. Perhaps it’s a Christian insertion into the poem, meant to represent how Christian monotheism overtook pagan polytheism (something that is quite active in this leg of the poem, actually). Or maybe there’s more of an historical/allegorical bent at work, the figures on either side standing for certain factions that faced off in the poets/writers’ distant past. Whatever the case, this event is definitely something that took place far into the past. After all, it’s clearly stated that the monsters all awoke after the condemnation of Cain (ll.109-112). Likely this is how the story goes because Biblically Cain is the first human outcast. Surely, Adam and Eve had their own losses from being cast out of the garden, but to be cast out from the cast outs would make Cain particularly damned. Especially in the eyes of the Anglo-Saxons, for whom community and social inclusion were integral for survival. The whole “kin of Cain” (“Caines cynne” (l.107)) thing is interesting. It takes something that is by its nature as a creature of the borderlands mysterious and other and gives it a lineage. Grendel isn’t just some monster that no one knows anything about, but is instead related to the first murderer and, curiously, an early farmer. A cheeky reading of the Cain and Abel story, could, in fact, be that god, with childish aplomb, prefers meat to vegetables. Anyway, giving Grendel a lineage and taking the mystery out of him thereby, makes him more approachable. It feeds into the feud culture of the Anglo-Saxons as well. After all, without a hereditary feud to conclude/perpetuate, Grendel would be somewhat in the right, since the Danes are encroaching on his territory. What’s more, Grendel only attacks Heorot once he’s provoked by the noise from within. Giving Grendel a clear ancestor, though, brings the feud element into play, which makes who’s in the right and who’s in the wrong muddier. After all, any godly person would surely take the side of god in a war with the monsters. Surely. Running with the idea that Beowulf was substantially altered when written down for the sake of Christianizing the Anglo-Saxons, any feud element would be an incredible asset. From the perspective of a missionary such elements would be their “in;” to the Anglo-Saxons feuds were eminently familiar. This familiarity would help make the Christian parts of the story seem more understandable. Particularly helpful in this area is the final line of this extract. The climactic sarcasm to be found there makes it prime for Anglo-Saxon appreciation, and could be there as a kind of medieval fan service. Grendel ventures into the hall next week, and there wreaks his first reported havoc. The poet reflects further on the dragon, and reveals some interesting facts about the serpent’s hoard. Only someone with god’s stamp of approval can enter the hoard. Does that mean Wiglaf has god’s approval? For he entered the hoard and saw its vast richness, reported it to Beowulf and showed a small fraction of it. The implications of such a thing are a little confusing though. 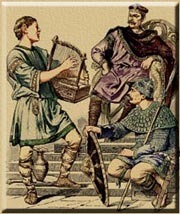 If Wiglaf had god’s approval, then why isn’t he leading the Geats through the coming hardships? Why are they a people consigned to nothing more than utter annhilation? The only really good reason I can come up with is that the poem’s named Beowulf, not A History of the Geats, or the Geatilliad. 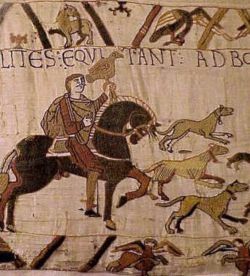 Which begs the question: why would the Anglo-Saxons tell such an elegiac story? And why would it later be considered important enough to write down? In considering the answer, the place of the elegy in Anglo-Saxon literature and narrative is incredibly important. Quite possibly, the fall of the Geats did not happen in the way the poem describes, but has been accelerated for the sake of the form. Or maybe for the sake of the lesson. Though what the lesson of Beowulf is, is rather ambiguous. Its moral could be any number of things. Christianity is the way to go? Even the smallest transgression – something so tiny that you can only remember it as a vague feeling – can lead to your downfall? Wyrd is cruel and unknowable? The poem’s a bit longer than your average fable, so narrowing it down to something concrete isn’t quite so straightforward. The difficulty of interpretation aside, the word used to describe the hoard, eacencraeftig, has a crystal clear meaning. Sure, it means “huge,” but broken down into its component parts it means “augmented strength” (“eacen”+”craeftig”). Since it’s used to describe the hoard, eacencraeftig clearly means immense or huge. The sense of the word’s components together gives a similar affect, since physical strength has always been linked to physical size, and augmenting that strength means increasing that size. There isn’t necessarily anything crafty about the word otherwise, but it’s neat to know what little there is. Next week the poet returns to the poem’s namesake. Watch for it on Thursday!